Jana and Lorna’s Extraordinary Adventure! No, I’m not the first to go to Italy. We all know Lisa Joy attended many concerts last year! And we can’t forget the Granny Groupies, either! 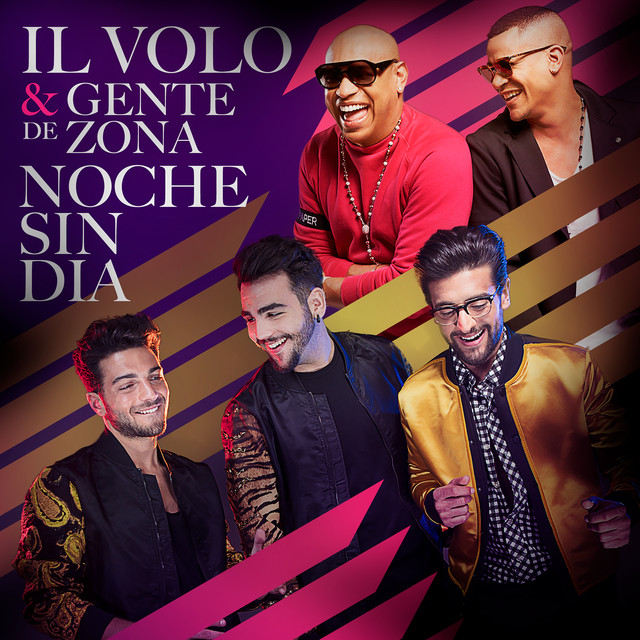 First, a little intro on how I got to this point….just about 7 weeks ago, the tickets for their Florence concert went on sale for presale to those that had the Il Volo membership. My new, dear friend, and Italian pen pal, Dani, sent me the link to the ticket site. On a really big whim, I bought two tickets. Third row, kind of in the middle, on the right of the stage. I really did not think I would be able to go, but had fun toying with the idea and figured I could easily sell the tickets. A few days later, I was explaining to Lorna my dilemma and she said, “I’ll go with you!” “Really? ?,” I said. Oh, OMG! I think I’m going to Italy! I called several people so they could try and talk me out of it, but no one would? (some friends, they are – lol!) It was quite a big expense, but thanks to a really, really, good friend; I was able to go! Approximately, the 6-week point: I quickly went online to check out the flights – yikes! I had no idea they cost that much! Should we go direct to Rome, and then to Florence? Detroit to Florence, via Amsterdam? Ok, gotta book the hotels – made sure I booked ones that had no penalties for changes or cancellations and didn’t need a credit card deposit. Ok, got those! Whew! Checked the flights again and decided to fly directly into Florence, via Amsterdam. Was actually a little cheaper than flying directly into Rome from Detroit. The cheapest flights I really could find were on Delta, which was a good thing, because that is how I wanted to fly! Ok, checking on the seats – wow, not many left in the comfort class (Delta upgrade – free alcohol! Lol!). I was going to have Lorna come over on Friday, but felt the seats would go quickly, so called her up last Tuesday, and she came over so we could book our flights. In the meantime, I was instant messaging again with Dani, and we were lamenting on how they kept saying the Verona concert was sold out, and yet we knew the tickets had been bought up by 3rd party vendors. Well, again, Dani sent me a few links to websites for possible tickets. When Lorna arrived, I asked her, “How crazy are you?” (ok, we won’t answer that one – lol!) But I told her of the possible opportunity to go to the Verona concert if we could get tickets from one of these sites? I told her it might be a gamble and we might lose our money and not get the tickets. She said she was in! After some trial and error, and the banks trying to protect us, we finally managed to get a few tickets to Verona! We decided on a tiered/balcony seat – figuring we could see better, instead of staring through all the heads on the main floor area. Our tickets are sort of in the middle, in the front balcony area, on the right. Besides, we will have just seen them a few nights ago from the 3rd row! After ordering our tickets, we quickly found a hotel in Verona – just about a mile and walking distance to the Arena di Verona! Our hotel for Florence is also just down the block from the Piazza Santa Croce – where the guys will be performing. Ok, on to the plane tickets! After some more technical difficulties, and a little bit of operator error, we finally got our seats booked on the flights. I am really glad we booked when we did, as there were only 3 seats left on the flight back to Detroit from Rome in the comfort class section! (also, I looked today, just for fun and our tickets have already gone up about $200!) We had also decided to take the train from Verona, to Rome, and then rent a car to go to Silvi, to meet up with Dani. We will stay in a quaint hotel for 2 nights nearby, that is connected to a winery (and overlooks the Adriatic Sea!) – what fun that will be! She also offered to guide us to Rosetto and Montepagano. Hmm… those cities sound really familiar? Oh, right – Gianluca! Lol! We will then drive back to Rome, stay the night in Rome, and fly out of Rome, back to Detroit. Yes, found our hotel in Rome, also. Unfortunately, I doubt we’ll run into any of them, as they will likely be on their way back to Mexico July 7 & 8. We might cross paths with them on the train from Verona to Rome – depending if Gian goes back home for a day before they take off? So, this is just about all we have planned so far. The only other thing I want to make sure I do is take a side trip to Venice, during one of the days we are in Florence, but other than that, everything else is open for the days in Florence. Someone I work with suggested taking a cooking class, which sounded like fun – his wife did that when they went. So, this is just about the 5-week point now: last Friday, we sent off to get our passports – expedited, of course. We should have those in about 2-3 weeks, they said. So, basically, we are leaving Detroit on June 29, and returning on July 8. I’ll have Saturday and Sunday to recover before having to return to work. I promise the next posts will be much shorter! Really! Now, is there anyone else going to one or both concerts, from the USA? I know of two others, but she did not know of anyone else. We should try to make a point to at least meet up at some mutually convenient location! Also, I’d love to hear any suggestions for other side trips from Florence from anyone who has been there or even lives there, or near there! We will have at least a half day when we arrive – shortly after 11am, and most of the day on Friday, as the concert does not start until after 9p. Then all day Saturday or Sunday, leaving one of those days for Venice. Still debating on whether to get a Eurail pass and which kind to get. Still many decisions to make! Come along with me – I hope you enjoy the ride! p.s. the Verona tickets arrived today!! It is real. We are going! Oh I am soooooo happy for you both I know you will have an incredible adventure. Grazie mille – 🙂 I’m sure it will be incredible! Oh how exciting! This is the perfect reading for an Ilvolover and an Italylover! Don’t you dare to make your next article shorter! Thank you so much for sharing! Jana and Lorna I am SO happy for both you !! Wow !! Third row in Florence for that amazing concert and then Verona !!! You must be jumping out of your skin from the excitement and anticipation of your upcoming Italian Adventure which will be here before you can blink an eye !! I remember well how we felt when we went to Italy and Sicily !! Please do keep us updated with ALL the details !!! Joanie – this probably sounds crazy, but I actually felt like doing cartwheels down the hall at the office in the marble hallway!! Of course, I didn’t. I’d have broken my neck, if I had! But I do think about it as I walk down the hall each day! I only wish we had time for Sicily! 🙂 Grazie! Grazie mille, Nancy! Wow, your 2nd trip! I’ve only been to Europe once before, and that was Germany in 1987. Ok, we’ll be sure to put David on the list! So… What color face make-up works on green? Really, really dark green! Actually more like Italian flag green! Jana, besides the green face I couldn’t be happier for you, my adopted daughter. I am so excited for the rest of us for being able to take this amazing trip (vicariously) with you. Thank you! Thanks, mom! 🙂 Just think, literally, a year ago, I had never even met them face to face, and now, less than a year later, I’ve seen them 3 times in concerts with 3 meet/greets and now I’m jetting off to see them in two concerts in Italy. What can I say – must be Ignazio’s blessing! 🙂 All, literally, in less than a year’s time!? Joanie – I’ll be glad for the extra company! 🙂 Grazie! this really sounds like fun. I am travelling to London on 3rd June (just one week away) meet up with a few fans, then concert followed by meet and greet after the show. My 20 year old granddaughter is joining me on the meet and greet, she has a special spot for Gianluca. there are 9 of us going. This is such a dream come true. I am almost 69 but have so much to thank Il Volo for as they lifted me up after I had lost my soul mate of 46 years and was not in a good place. I heard the boys (they were only 15/16 then) they grabbed my attention with their powerfully beautiful voices and I have been hooked ever since. Have a good time on your adventure. love from Lynda Johnson. Lynda – that sounds amazing – do you live in England? You, your granddaughter and the rest of your crew will have an amazing time. Just remember, it’s like most of us say – over in moments, but they last a lifetime and try to practice what you will do and say ahead of time – of course, even with practice, if you’ve never seen them up close before, the first time you gaze into their eyes, it’s like a deer in headlights and you forget all rational thought and your might goes blank! Grazie! This sounds like the trip of a lifetime! I look forward to a blow by blow account of your experience. Grazie, Janet – it certainly will be! I’ll do my best! Wow Jana, if it were me I’d be black and blue from pinching myself to see if I was awake! How wonderful! I hope you have a great time and remember it is hot in Italy at this time of the year! Bur Marie–wherever the guys are–it’s HOT! that is for sure – who was talking about the temperature? lol! 🙂 I know, I will have to take some sunscreen! Grazie – yes, the more comments I read, the “realer” it’s getting! How wonderful for you and your friend. Enjoy and keep us posted. Grazie mille!! Will do my best! Lydka – you always say the sweetest things! Energy, courage, passion? Hmm… I think following the guys has let loose some things in me that were buried deep inside, that I didn’t realize were really there? I feel like this little caterpillar has transformed into a bright and beautiful butterfly and is soaring on the wings of Il Volo! 🙂 Grazie mille! Jana you are one of the most devoted fans and you deserve this trip. We deserve detailed day by day reports so we could ‘live’ this concert with you. Gina – that is so sweet! 🙂 I will do my best! If that is not for you, take a trip to one of the wine towns of Chianti. My choice would be Greve in Chianti https://en.wikipedia.org/wiki/Greve_in_Chianti which has a wonderful ambience. It is only about 20 miles from Florence. Even a drive through the countryside from Florence to Siena would not disappoint you. There should be organised excursions. Make sure that your driver does not take the freeway. The route (I think it is the strada statale 222) is known as the Chiantigiana and passes through beautiful and hilly landscape full of vines and wine producing farms with really old buildings and terracotta roofs. The English call Tuscany Chiantishire as many Britons have moved there to enjoy “la dolce vita.” I have been there lots of times although my wife and I have our second home in Naples, which is much further south. Going from Florence to Venice would be a tough day trip as the train takes more than four hours each way. However, from Verona its is child’s play. There are direct trains taking not much more than an hour. Nowhere in the world is like Venice; but try to move away from St Mark’s Square – especially to eat. In ten minutes, (half a mile on foot), you can find the places where the Venetians eat. Quality is much higher and prices are much lower. Moreover, you will be rubbing shoulders with real Italians and not foreigners! There is always someone who speaks English very well and the welcome will overwhelm you. Italians love visitors! Oh thanks, Bernard… That made me feel better about not going *sigh*. I wouldn’t like any of those things *wimper*. I would much rather sit here in Ohio and order delivery from Pizza Hut *sniff*. Hey, Pizza Hut is my favorite take out pizza!! Bernard – thanks for all of the wonderful suggestions and links, I will check them out. I was actually looking at some day trips yesterday that included both Sienna and Greve in Chianti! 🙂 Yes, everyone tells me someone always speaks English! Good thing, because my Italian will be pretty rusty! Jana and Lorna….who-who!!!!!!!!!!!!!!!!!!!!!!! So happy for you!!!!!!!!!!!!!!!!!!! So happy for you Jana. You really “seized the day” and good for you and Lorna. How wonderful that you were able to get the tickets to both concerts and plan this trip. It will be your extraordinary adventure! I would love to be able to do something like this and all in a few weeks time. 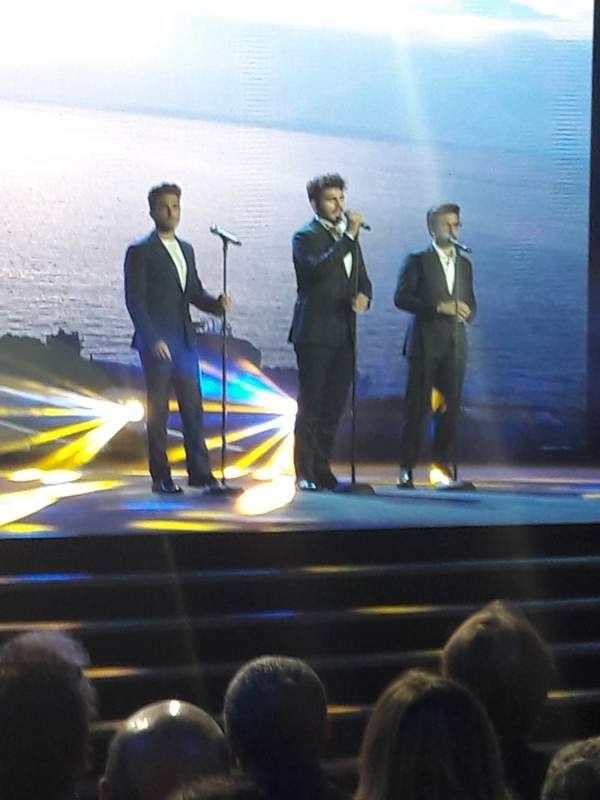 The concerts will be fantastic and just to see and hear Piero, Ignazio and Gianluca in Italy is amazing! Florence is lovely and the museums and churches are great. I also thought Siena was very nice and Venice was absolutely breathtaking! Italy is just a beautiful country with so much to see and do. I would like to correspond with you girls because I am going to Venice and Verona also to see the boys. My email is btyoung@bellsouth.net. Would like to plan a meet up with you at some point. Thanks, Bubby Young female). Bubby – I/we will be happy to email with you! Will be great to meet up with you. Grazie! Love, love your trip and can’t wait to hear every detail. Wish I was going with you for sure. Buon viaggio and I know you will bring our love to our boys. Blow them kisses from me too, Jana. Just stand far from Ignazio when you do. I know you! This is so funny, I just remembered that last night I had this dream that I WAS throwing them kisses!! Lol! This is so exciting. I am so envious. Italy is my favorite country, and of course IL VOLO my favorite music. Definitely do the Venice side trip, and Siena isn’t too far from Florence and it’s a nice town. When in Verona don’t forget to visit Romeo and Juliet site. Pisa is also nearby if you haven’t been there before. Renting a car? Oh you are brave. People call me adventurous, but I would not attempt to drive around those crazy Italians (remember, I am Italian) and those little roads. I will see you June 24, and I’m bet you will be glowing with anticipation. Here in England we drive on the left. However, I have often driven in mainland Europe where every country drives on the right. I have also rented cars in the USA where you also drive on the right. I found it fairly easy to adapt to driving in all those countries. The main problems I have met in Italy have been in bigger towns and cities; but that had nothing to do with the driving style of Italians. No, it was because that there are lots of one-way streets owing to the fact that they are too narrow for two-way traffic. You need to remain very attentive to the road signs in order to make sure that you are in the correct lane early enough to make any required turns to right or left. It is possible to be within 100 yards of your destination only to be taken further away because your road does not go in the right direction! Another thing to remember is that your rental car will have Italian plates and no one will know that you are not Italian. On the open road (highway or strada statale) or the freeway, driving is pretty much the same in all countries, However, I make an exception for Naples. It is a nightmare compared to Rome, Milan, Pisa and Florence. But, if you are reasonably confident, driving does not present insuperable problems for tourists in Italy. Oh, Dani – can’t wait to meet you! 🙂 Going to spend a night in Venice now! I am going to be so busy doing and planning things, June 29 will be here before I know it! 🙂 A presto! This sounds like an amazing adventure! Have fun!